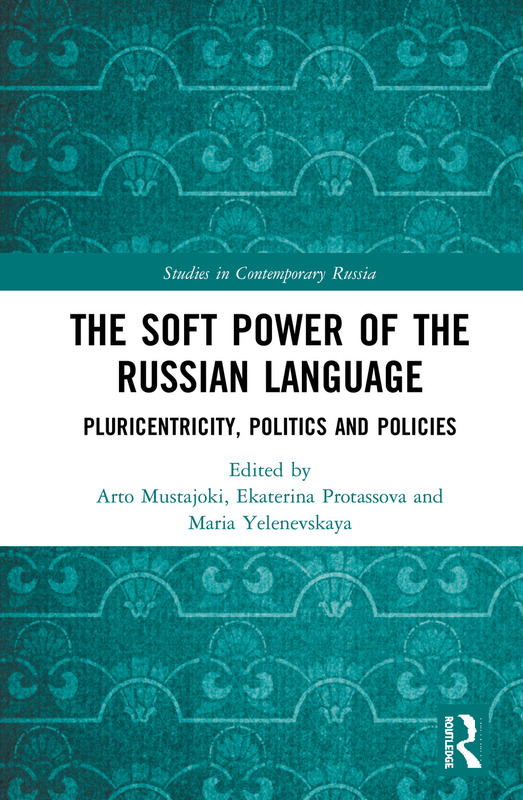 Exploring Russian as a pluricentric language, this book provides a panoramic view of its use within and outside the nation and discusses the connections between language, politics, ideologies and cultural contacts. Russian is widely used across the former Soviet republics and in the diaspora, but speakers outside Russia deviate from the metropolis in their use of the language and their attitudes towards it. Using country case-studies from across the former Soviet Union and beyond, the contributors analyse the unifying role of the Russian language for developing transnational connections and show its value in the knowledge economy. They demonstrate that centrifugal developments of Russian and its pluricentricity are grounded in the language and education policies of their host countries, as well as the goals and functions of cultural institutions, such as schools, media, travel agencies and others created by émigrés for their co-ethnics. This book also reveals the tensions between Russia’s attempts to homogenize the 'Russian world' and the divergence of regional versions of Russian reflecting cultural hybridity of the diaspora. Interdisciplinary in its approach, this book will prove useful to researchers of Russian and Post-Soviet politics, Russian Studies, Russian Language and Culture, linguistics, and immigration studies. Those studying multilingualism and heritage language teaching may also find it interesting. Part I. Russian as a communicative tool: Lingua franca, intermediator or something else? Arto Mustajoki is Professor Emeritus at Helsinki University, Finland. Ekaterina Protassova is Adjunct Professor in Russian language at the University of Helsinki. Dr. Maria Yelenevskaya is Senior Teaching Fellow at the Technion-Israel Institute of Technology. Studies in Contemporary Russia is a series of cutting-edge, contemporary studies. These monographs, joint publications and edited volumes branch out into various disciplines, innovatively combining research methods and theories to approach the core questions of Russian modernisation; how do the dynamics of resources and rules affect the Russian economy and what are the prospects and needs of diversification? What is the impact of the changing state-society relationship? How does the emerging welfare regime work? What is the role of Russia in contemporary international relations? How should we understand the present Russian political system? What is the philosophical background of modernisation as a whole and its Russian version in particular? The variety of opinions on these issues is vast. Some see increasingly less difference between contemporary Russia and the Soviet Union while, at the other extreme, prominent experts regard Russia as a 'more or less' normal European state. At the same time new variants of modernisation are espoused as a result of Russian membership of the global BRIC powers. Combining aspects of Western and Soviet modernisation with some anti-modern or traditional tendencies the Russian case is ideal for probing deeper into the evolving nature of modernisation. Which of the available courses Russia will follow remains an open question, but these trajectories provide the alternatives available for discussion in this ground-breaking and authoritative series. The editor and the editorial board of the series represent the Finnish Centre of Excellence in Russian Studies: Choices of Russian Modernisation.